Why the nearly 100-year-old keto diet is finding some modern-day love. The ketogenic diet is on fire right now, in case you haven’t heard, and it’s because of people’s reliable weight loss while on it. As a Google search term, “keto” is now double the popularity of “Paleo,” which has leveled off and even decreased in the past year. Keto diets require most of your calories to come from fat (with low protein intake and even fewer carbs), which trains the body to utilize fat for energy rather than carbohydrates. Yet not everyone is on board, with some experts saying that it’s more trouble than it’s worth. There is so much emerging research and buzz about keto that we wanted to cut the fat to find out what it is and isn’t, and why this diet may or may not be effective for women who train. The origins of the keto diet date back to the 1920s, when a faith healer developed the diet to effectively treat children with epilepsy. But when anti-seizure medications became available, the diet fell out of favor. High-fat diets gained new traction in the ’90s when Robert Atkins published Dr. Atkins’ New Diet Revolution (which, although high-fat and low-carb, is not ketogenic). Fast-forward to present day, and the ketogenic diet has been legitimized as an effective therapy not only for epilepsy but also for Alzheimer’s, Parkinson’s, glaucoma, and even cancer. But the real appeal for most people is the ability to achieve significant weight loss—a claim backed by several studies, including a review of research in the International Journal of Environmental Research and Public Health. For a 140-pound woman who is 5'6" and moderately active with 20% body fat, her keto macronutrient ratios would be 76% fat, 19% protein, and 5% carbs. If monitored closely, this diet would eventually put her into a state of ketosis, in which the body produces ketones for energy from fat cells in the liver rather than using the typical energy source of stored carbs in the muscles. But compliance is hard—you have to measure your ketones daily so as not to have too many carbs or too much protein. Another downside is that ketosis is often confused with ketoacidosis, in which blood levels of ketones get so high that the blood turns acidic. It can lead to potentially deadly symptoms in short order. Yet, under normal circumstances, with monitoring by a nutritionist and by checking your daily ketone levels, it can be done safely. 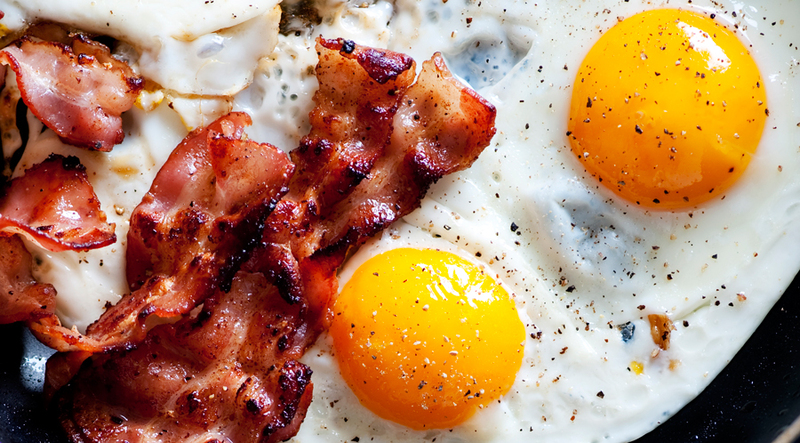 So could the ketogenic diet be right for you? Here’s what some of the experts have to say. Carb limit is higher around workout times. Max is 25 to 50 grams of high-glycemic, glucose-based (not fructose-based) carbs 30 to 60 minutes before training. Alternate keto days with carb-loading days, such as five keto days and one to two “refeed” days. On keto days, max is about 50g of carbs; on carb-loading days, it’s about 450 to 600g. The type of fat emphasized is medium-chain triglycerides (MCTs) rather than other fats (mostly long-chain triglycerides, or LCTs, like animal fat) because MCTs produce ketones more easily; 30% fat from MCTs, 30% from LCTs. See the next page for the potential benefits a keto diet could have on your body.